Welcome to California Modern, where our passion is telling the San Diego story through food. We approach every day as a special occasion – one that begins with a bounty of locally grown and harvested products and ends with inventive preparations that surprise and delight our guests. Our ocean view dining room is contemporary yet comfortable, an intimate setting where conversation comes easy, and our friendly, knowledgeable staff serve as guides to the many exciting choices available. Come have dinner with us and celebrate the flavors of San Diego. Located on the lower level of George’s at the Cove. is on tasting menus where we invite our guests to be part of a conversation about the lifestyle, ingredients and sense of place that is San Diego. A 4% surcharge will be added to each bill to help cover increasing operations and labor costs. A wide selection of starters and entrees including a variety of vegetarian and vegan options. A chef-selected six-course menu with wine pairings available. A selection of desserts, cheeses, specialty teas, cocktails and wines to enjoy after your meal. Seasonally-driven libations, local beer and premium wines by the glass. More than 400 wine selections from around the world. Celebrate Easter with a 3-course holiday brunch on Sunday, April 21. Planning a Party? Dining With A Group? Make California Modern the venue for your next event. 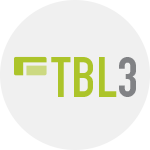 TBL3 is a 12-14 course tasting experience where you put yourselves in our hands for the evening. Named for the iconic ocean view “table three” where your meal will take place, this exclusive experience is brought to you by chef de cuisine Jonathan Bautista and his highly skilled team. There are no choices and no substitutions. Instead, you will be part of a playful, spontaneous encapsulation of time and place – an evening that could not happen anywhere else but George’s. Seating for TBL3 is 7:30 p.m. or prior. Through cooking, we have the unique opportunity to express ourselves artistically through food, while creating a series of special moments for our guests over the course of an evening spent with us. There is good reason George’s at the Cove is one of Southern California’s most iconic restaurants: an unparalleled experience that blends location with hospitality and culinary excellence. A classically trained graduate of The Culinary Institute of America in Hyde Park, New York, Trey joined George’s at the Cove in 1998 after being named one of “America’s Ten Best New Chefs” by Food & Wine. His approach has earned him continued acclaim, including “Chef of the Year” by the California Travel Industry Association in 2004 and the San Diego Chefs Hall of Fame in 2010, and helped to define the cuisine of the region. In 2014, Jonathan joined the Modern team and was named #4 on Eater National’s list of 50 Young Guns Semi-Finalists. Trained in Japanese, Asian, American and French cuisines, he finds collaboration to be the greatest instrument of learning. “Pushing ideas back and forth and questioning each other is essential in the creative process,” says Jonathan, or Jon as he likes to be called. Our Golden Trout is sourced from a farm along the Snake River in Idaho’s Magic Valley and comes to our kitchen the same day it is caught. Our beef tartare is loosely based on Korean BBQ or more specifically, Bulgogi. We play with the flavors of KBBQ, but instead of grilling the beef, we serve it raw. Sign up for our Table of Friends Newsletter and receive special surprises on birthdays and anniversaries, and stay on top of the always-changing world of food.